The Floraframe Recirc-33 comes constructed of solid copper and includes black cover felt planting pockets and roller wheels for vertical gardening on the go. Shiny copper will naturally tarnish to a modeled brown with green highlights. Plants are automatically watered daily by pump and timer from the 18 gallon tank below. Fill your portable vertical garden with 33 of your favorite plants to create a stunning display of living art. Order yours today from our website at PlantsOnWalls.com. 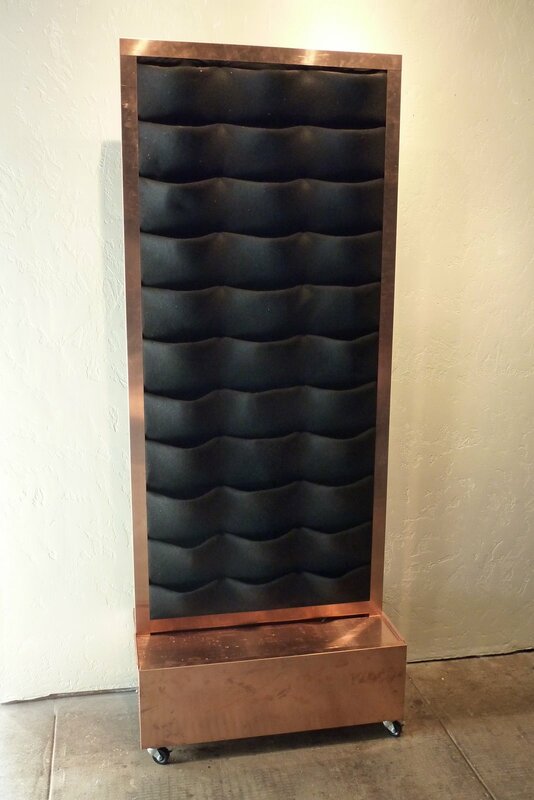 PlantsOnWalls Floraframe Recirc-33 in copper.